I have been using these Kiko Milano Velvet Passion Matte Lipsticks for around 7-8 months now and I feel like I have mixed feelings about these. When I got them initially, I absolutely loved them but over a period of time that love has tuned into a very lukewarm like, unfortunately. Here are my thoughts. 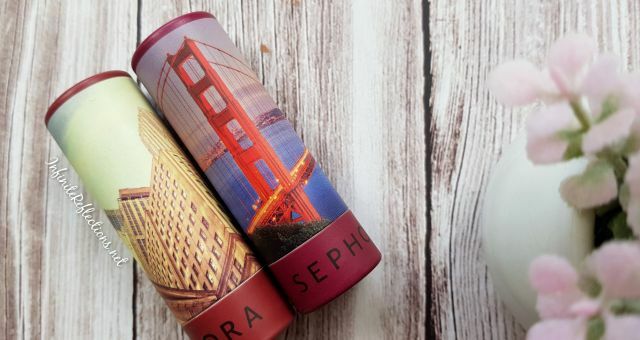 These lipsticks have one of the best packaged lipsticks I have seen in affordable lipstick category. The body is gold and grey which looks very classic and there is a weight to it. It feels heavy on the hand and feels luxurious. There is a magnetic closure for the caps, so they shut secured. I really like the very high quality packaging. 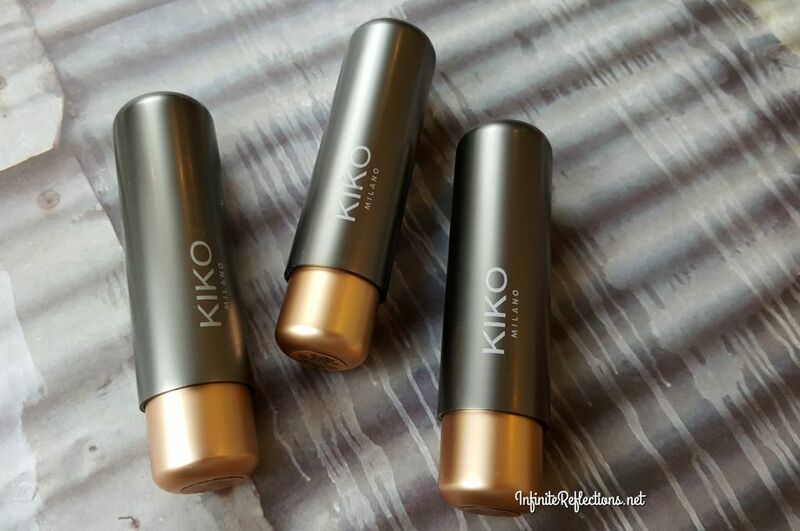 The lipstick bullet as well as the cap has the Kiko Milano logo engraved. You will get 3.5 gm/0.12 oz of product, which is pretty standard. I got these lipsticks from Kiko Milano Hong Kong, and after conversion they range anywhere between SGD 15-18 depending on store offers. I don’t exactly remember how much I got them for but I remember thinking that they are much cheaper than Maybelline or L’Oréal lipsticks. Sadly, Kiko Milano is not officially available in Singapore and I have got all the products from Hong Kong. I have no idea why they don’t yet have a store here but I hope they will come here soon. 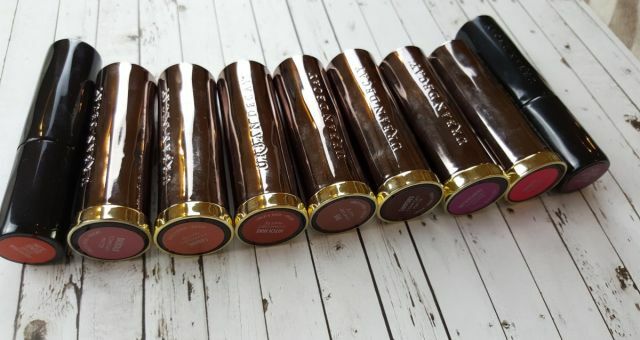 The shade range is a big plus for these lipsticks as the range is huge and everyone should be able to find a perfect match. They give a matte look and finish to the lips but the formula is not transfer proof or anything. They have quite a good pigmentation but I find that you do have to build up the color quite a lot, specially the lighter shades. I would say that they have decent pigmentation but the colour payoff is not the best. It’s very important to exfoliate the lips before application, because they have a tendency to stick to dry patches. And I have noticed that after 4-5 hours the color fades off quite a bit and starts to look a little patchy. Also, I feel that the colors are not completely opaque at one swipe or even after layering. Specially, if you have pigmented lips, like I do, then some of your natural lip color will show through a little bit. So, I find that they are not as opaque as I would like them to be. 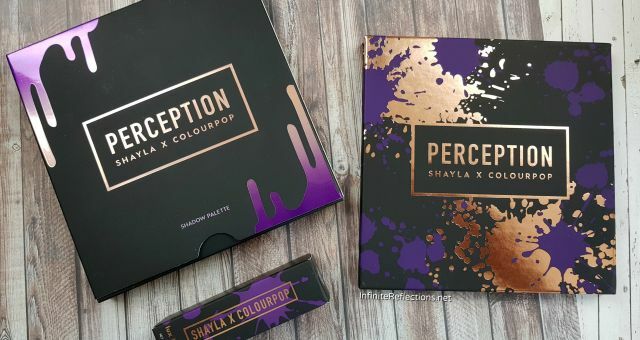 I feel that maybe the deeper shades will look and perform much better on my skin tone. Out of the three, the deeper one is actually my favourite. Overall, these have decent pigmentation but I wanted a little bit more colour payoff and opacity. They are quite creamy, glide easily on the lips and do not change into completely matte formula so they are very comfortable to wear. But, I have noticed they do tend to dry out my lips a bit after 4-5 hours, so I would say that these are comfortable for a few hours. 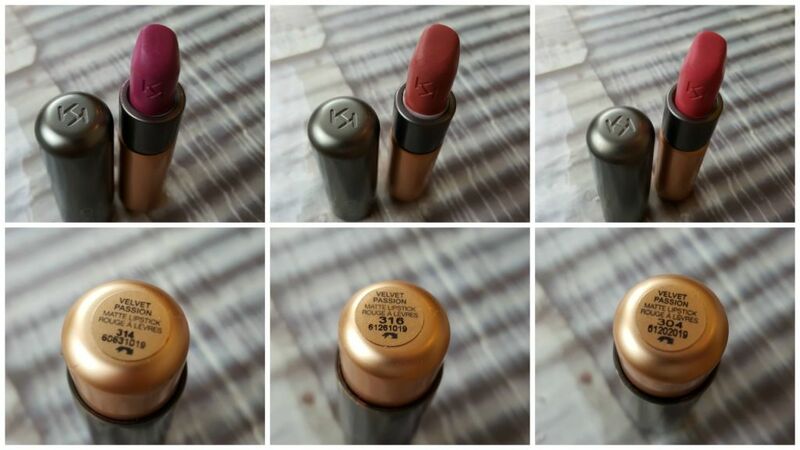 Overall, I would say that these are good, pretty affordable, lipsticks but the colour-payoff is not the best and on my lips they are not very long wearing also. But, I love the colors which I have and will continue to wear them as a good daily wear lipstick, when I just need some colour on the lips but don’t want to go all out. 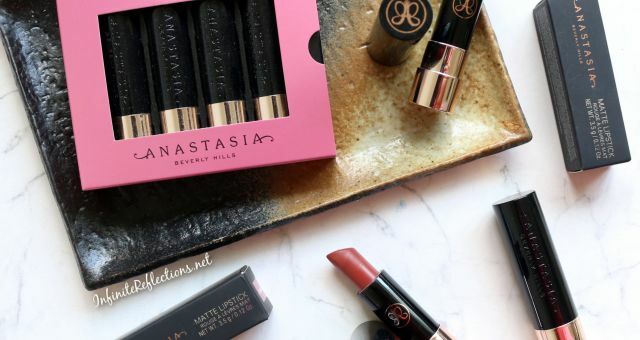 It’s a decent matte lipstick to wear but don’t expect a lot out of it. Hope you found this review helpful. Do let me know your thoughts on them, if you have tried them.